Michael and Hunter Gullison have been making nest boxes out of scraps of lumber for years, but it wasn’t until May this year that they started volunteering to build DUC’s nest-box kits. Since then the father-son carpentry duo have built more than 300 song-bird nest-box kits and 300 duck nest-box kits. They’ve also put up dozens of nest boxes themselves along the St. John River. 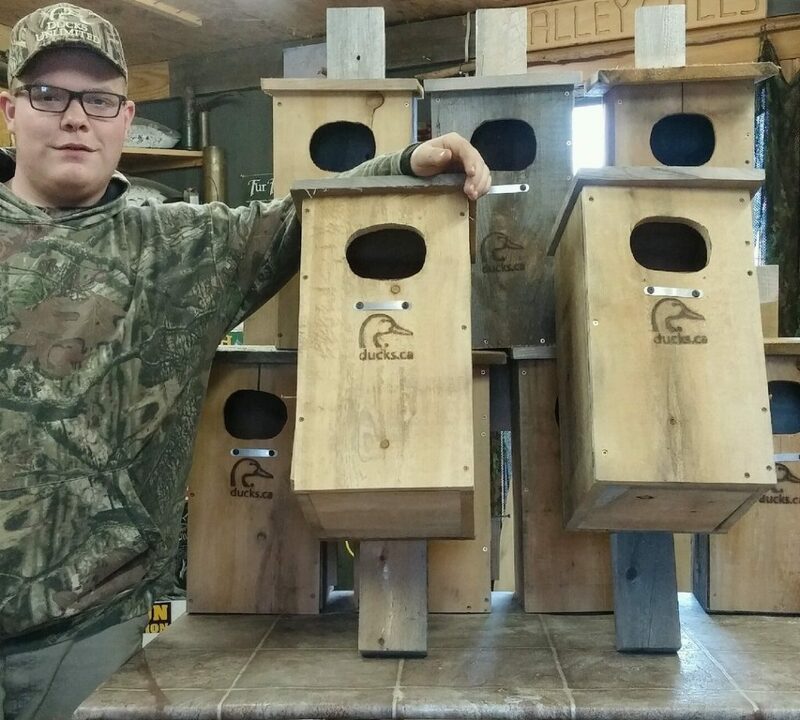 DUC volunteer Hunter Gullison with nest boxes he constructed with his father. 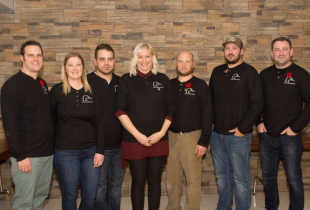 The Gullison’s hand-made nest boxes are distributed through DUC in Atlantic Canada. 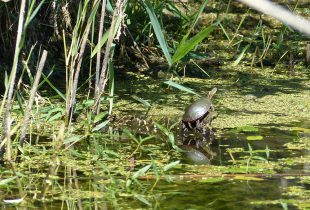 Before taking their nest boxes home, recipients sign stewardship agreements stating that they are volunteering to place their boxes in local wetlands and that they will inspect them for nesting activity each year. 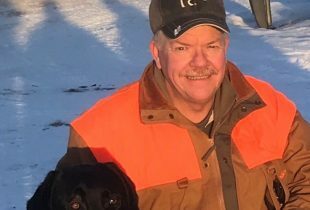 The information gathered helps determine annual waterfowl success and informs future conservation efforts. 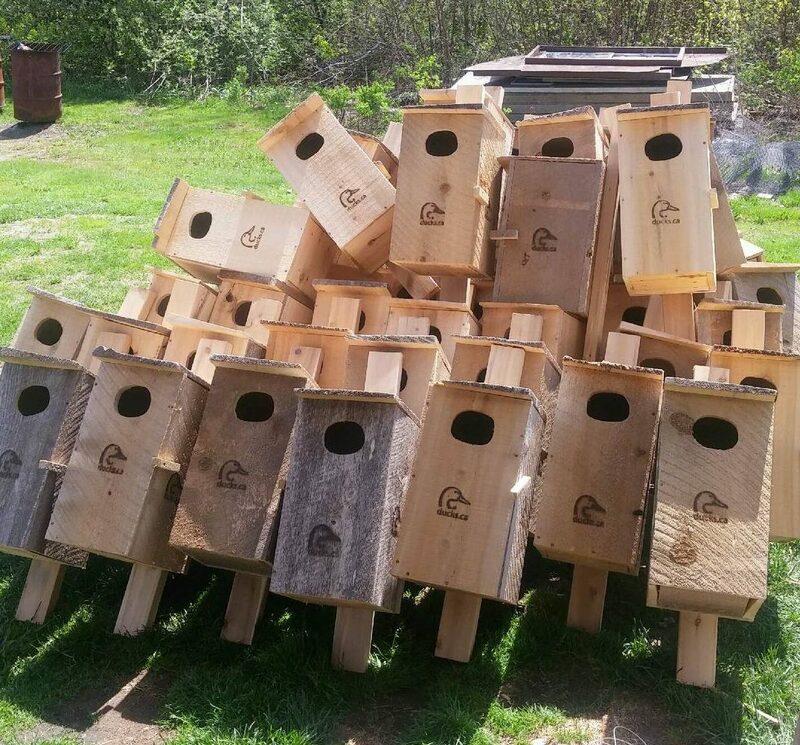 DUC’s Atlantic Canada team emphasizes the need for nest boxes on the St. John River floodplain area, but people who attend the next box workshops are welcome to put them anywhere they can benefit birds. 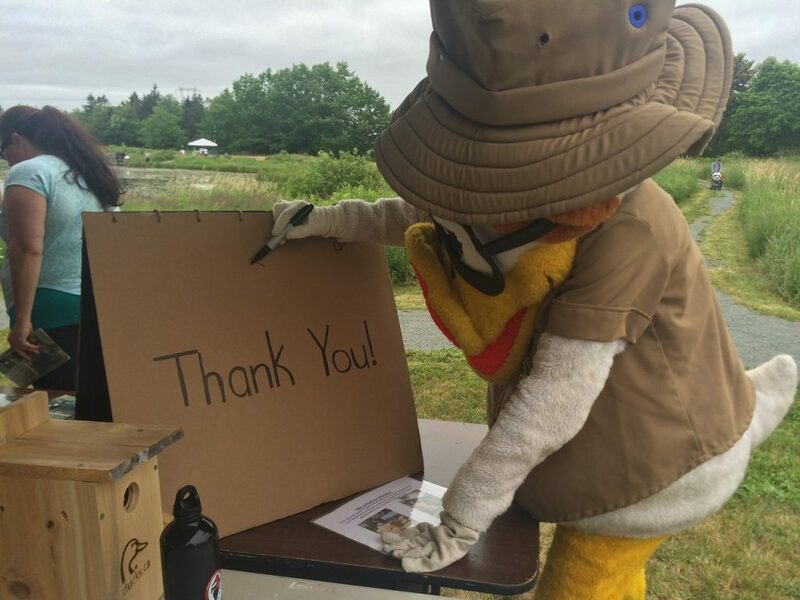 This year, at the annual Duck Day event at the Shubenacadie Provincial Wildlife Park, attendees who were building nest boxes signed a thank you card, made by one of the park nature interpreters, for Michael and Hunter. Nest box recipients signed a thank you card for the Gullisons.